It's now officially spring and we've had the first spring migrant to prove it! Today I went for a run on the Meadow and managed to flush a LITTLE RINGED PLOVER along the East Shore. It didn't fly very far but as I didn't have my bins with me I couldn't relocate it. Later on in the day I came back for a more detailed look but it was nowhere to be seen. There have been a couple of other year ticks to report as well. 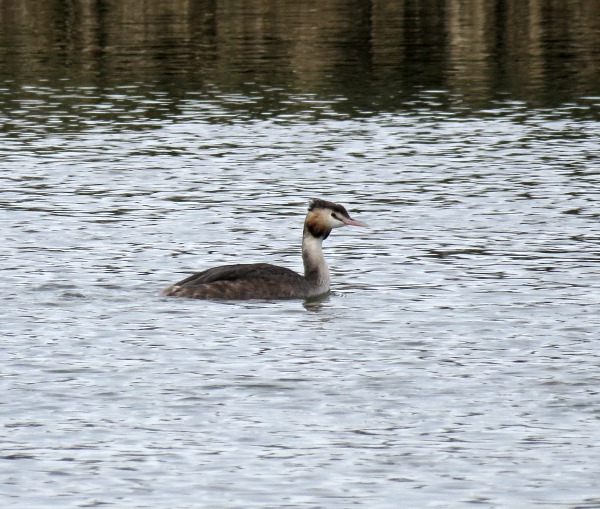 The first was the surprisingly late addition of Great Crested Grebe to the list. Normally these are about on the river pretty much all year but yesterday on the river just by the sailing club was the first that I've seen this year. The second tick was two separate sightings of BLACK-TAILED GODWIT. The first was a singleton seen by Ben Sandford-Smith a couple of days ago and the second record was a party of five birds that Andrew Siantonas found yesterday. Usually I'd expect to get this species on the list over the winter period so they're a bit late this year. 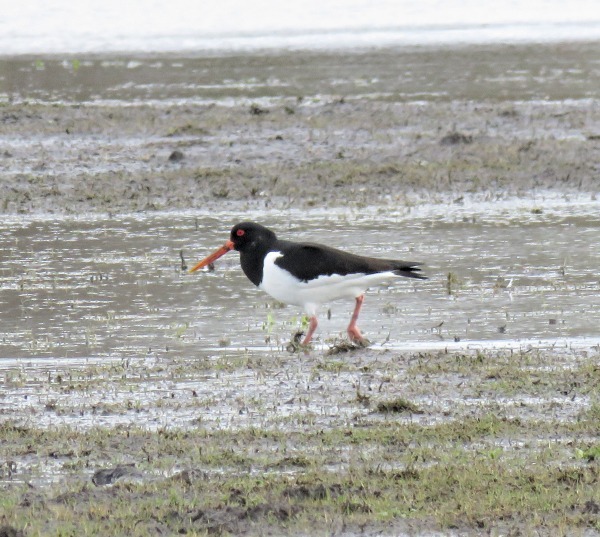 Apart from that there have been two or three Oystercatchers about, as well as three Redshank, 1 Dunlin and up to 12 Shelduck. For the first time today in a while we had a decent 100+ flock of Golden Plover. They're all moulting into their summer finery and are looking a bit tatty at the moment as they transition.